Barbie is turning 50, and she's getting a big party in Milan to celebrate. Fiat's in on the action, too. 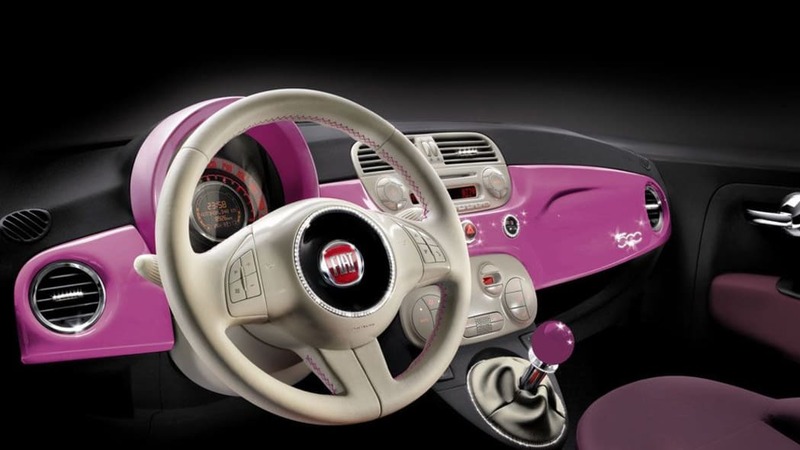 The automaker will present "Barbie" with a customized pink Fiat 500 similar to the heavily-photoshopped images in the attached gallery. 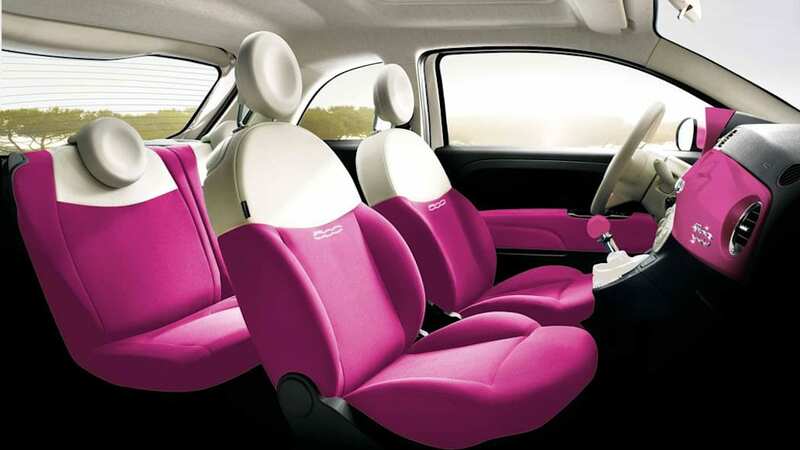 Look for pink paint, pink seats, the full "Bedazzler" jewel treatment, a retro-fied car cover and other such Barbielicious touches. Following the car presentation, Barbie and Ken will drive the one-off 500 through Milan to her birthday party, where the band Nena (yes that Nena) will provide the entertainment. Barbie will then walk the pink carpet as 99 red balloons go by. Lest you think we're making this lunacy up, the Fiat PR is attached after the jump as evidence. Fiat 500 makes headlines once more, as befits an authentic Made in Italy icon. 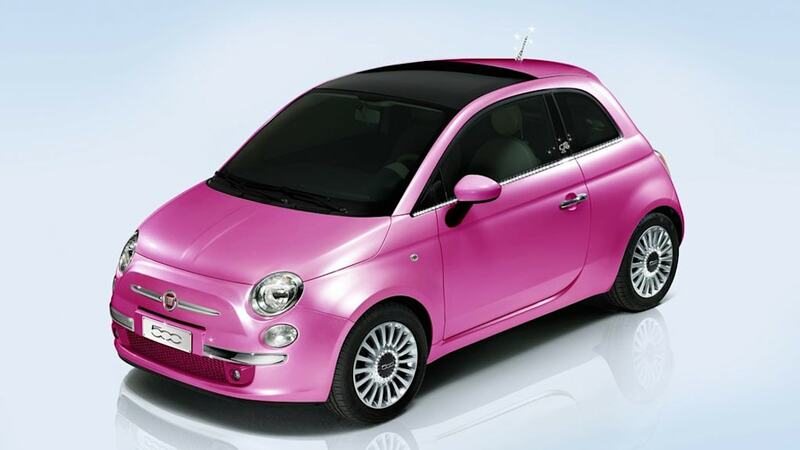 This time it's an original Fiat 500 show car dedicated to the most famous fashion doll ever: Barbie®. This exceptional vehicle, created by a partnership between the Fiat Centro Stile and Mattel, will be given officially to Barbie® on 9 March next, at her fiftieth birthday celebrations in Milan. 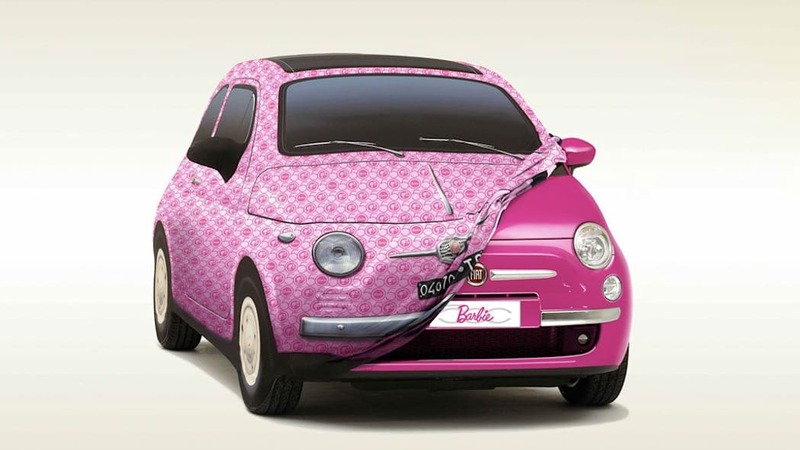 It's a fashionista car but quite tongue-in-cheek and with lots of charm: just like Barbie® herself. The gleaming paintwork resembles varnish and definitely makes for a shock effect, achieved with deep lacquered colour using ultra fine aluminium plunged in deep, up-to-the-minute pink. The seating is upholstered in strikingly soft fabrics: silver laminated Alcantara® is not only trendy but plush to the touch and its glimmer bounces as far as the roof panel. Then there are mats enhanced with natural silk yarn and sleek viscose, not to mention lip glosses in brilliant colours stored in the glove compartment, plus a LED-decked vanity mirror to ensure perfect application. And there's more. The car has more features than a crown has jewels! Crystals sparkle on interior bezels, hubcaps, outer window mouldings and antenna and even outline the doll's famed silhouette on the pillars. Lastly, this Fiat 500 show car also has its own glossy cover, featuring the distinctive Sixties version of the Fiat 500 and a Barbie® autograph. The latest Fiat 500 show car will appear in public for the first time on Monday 9 March, from 6.30pm onwards, when it will race through the quintessential streets of Milan's fashion district. Barbie® will be aboard and she'll have her own special driver: Ken, of course. On arriving at the entrance to La Rinascente department store, in Piazza Duomo, Barbie® will leave the car and walk the unique pink carpet created just for her. The band Nena will be playing live in the background, reviving some of the most famous pop songs from the fifty years of the legendary fashion doll's existence. Roberto Giolito, creator of the Fiat 500, had this to say about the Mattel-Fiat partnership scheme: "All-American Ms Barbie® already has a number of 'transport solutions' available, like thundering GTs and motor homes with endless accessories. So if she's spotted a 500 and wants one as a gift for this landmark birthday, it's a signal typical of modern times that there's a renewed need for dreaming the simple things in life, which give so much, allow us to lighten up, thrill who's born beautiful or just feels beautiful, but doesn't have to prove anything. After all, Barbie® already has everything. Sleek Barbie® is a looker, smart enough to listen to everyone, a universal ambassador opting for a car that never divides but frees everyone from having to declare their social status. The new 2009 version celebrates her birthday with a model that offers a better view of the sun and the stars, all the better for continuing to dream, especially daydreams."